Located in Australia’s renowned Grampians wine region, two hours west of Melbourne, A.T. Richardson Wines specializes in elegant Riesling and refined Shiraz. International winemaker Adam Richardson crafts his Chockstone wines in a true Grampians style—with an elegant structure and layered flavours, and that have the ability to age and develop both in the glass and in the bottle. After a 10-year search, winemaker Adam Richardson selected the terroir of his Hard Hill Road Vineyard—situated just outside the township of Great Western, 200 kilometres west of Melbourne—for its special microclimate. 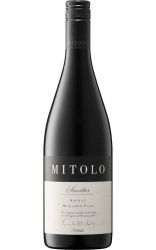 The close-planted vineyard’s cool ripening conditions, 350 metres elevation, and naturally low-yielding vines produce elegant and complex wines with layers of intense flavours and a velvety structure. The vineyard’s namesake “Hard Hill,” given by the 1850s gold miners for the inhospitable nature of its slopes, epitomizes the growing conditions, with unyielding soil characterized by ironstone and quartz outcrops. It is ideal for the cultivation of the richly flavoured grapes that are so important to A.T. Richardson Wines. The vineyard’s northeast-facing slope not only captures the earliest morning sun (essential in the rapidly cooling ripening month of April), it also shelters the vines. These challenging growing conditions, along with the low annual rainfall and carefully situated vineyard blocks, conspire to produce fruit of wonderful intensity and balance. The Grampians region itself is steeped in history. Soon after the 1850s Victorian gold rush, some of Australia’s earliest wineries were established here, and, today, the Grampians contains more than 1,000 acres of vineyards andis home to some of Australia’s leading producers of cool climate wines. Historically known for its fine sparkling wines and robust reds, the Grampians is now famous for producing richly textured Shiraz and elegant Riesling wines. It is unusual to find a place where you can grow these world-class varieties side by side; the climate and soils of the Grampians are ideally suited to the production of both. 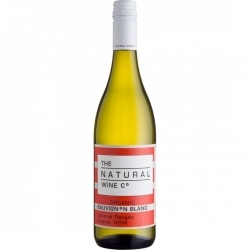 A native of Western Australia, Adam Richardson has been making wine professionally since 1995. In addition to creating his own A.T. Richardson Wines brand, Adam is the international winemaker for a major California-based wine company. In this role, Adam visits and produces wines from almost every major wine appellation around the world, yet he most highly regards the wines from the Grampians region of his native Australia. Prior to winemaking, Adam was an aviator in the Royal Australian Navy. When he’s not making wine, he is in the mountains with his wife, Eva, their twins, Madeleine and Jackson, and Ella the dog, skiing, climbing, or barrelling down “single tracks” on mountain bikes. At 350 metres, the Riesling block is the highest and most exposed (to the cooling southerly breezes), and therefore coolest microclimate in the vineyard. The slower ripening that comes with the cooler Grampians climate results in Riesling wines that are delicately structured, with crisp mineral and floral characters. Three different clones of Shiraz have been planted in the ironstone soils—each carefully selected from historical regional clones with a proven track record for grapes with highly concentrated flavours. 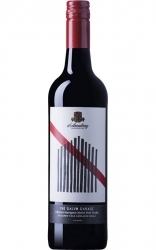 The poor soil and minimal rainfall of the region results in complex and structured Shiraz wines with wonderful layers of berry and spice flavours. Also known as Petite Sirah, these black, thick-skinned grapes produce majestic wines of depth and character. With his many years of experience making Petite Sirah in California, Adam decided to push the limits and plant some Durif in the cool Grampians climate.His first vintage wine will be the 2012 and will be released in late 2103 under his Hard Hill Road label. Adam’s first vintage of Nebbiolo will be the 2012 vintage, and although this year he planted his own Hard Hill Road Nebbiolo grapes, the grapes for his 2012 ‘Neb’ were sourced from a colleague in the neighbouring Pyrenees region. Adam thinks of Nebbiolo as the king of grape varieties, and it is famously difficult to produce into a wine that satisfies the maker. With a goal to make wines that he likes to drink—wines that are approachable yet have layers of subtle complexity, and that evolve over time in the glass—Adam focuses on the structure in his winemaking, what he calls the “heart and soul” of the wine. He believes that a wine is built on its structure, upon which lay the flavours and textural elements that make up the wine’s personality. A proud Australian who nonetheless has spent much of his time making wines internationally, Adam makes his own Chockstone wines in a style that represents the best of his favourite wine region (the Grampians) and also has characteristics of some of his other favourite regions where he has made wine, such as northern Italy and Germany. Like the wines from these regions, Adam takes advantage of the fine structures, firm acids, and complex flavours attained in his Grampians region to create wines that are elegant, complex, long lived, and most at home on a dinner table. A.T. Richardson’s wines are approachable in their youth, and possess the potential to age gracefully. The wines produced by A.T. Richardson really provide a sense of place and focus on vineyard and varietal expression. 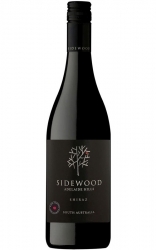 The wines are textured, layered and above all fruit driven, with oak in the 2010 Chockstone Shiraz playing a supporting rather than starring role. 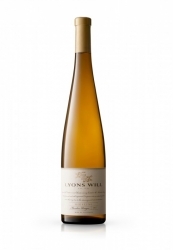 The wines represent tremendous value and it is unlikely they will remain so competitively priced for long.